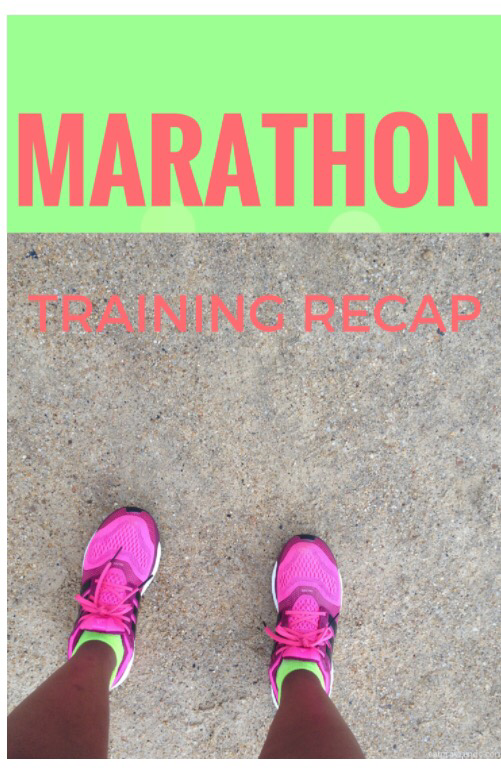 This week, I’m combining my training recap into a weekend update post and linking up with Tara over at Running n Reading for her Weekend Update link up. I am finally home and it feels good! I will be in town for the next 2.5 weeks before my next trip. This past week was really jam packed and so while I didn’t have exactly the week I wanted, workout wise, I did make sure to not miss my long run. I am trying to make sure I don’t miss a single long run this summer. So far, so good. On to the recap and the weekend update! If you follow me on Instagram, you probably noticed that I was in Birmingham all last week. I had a wonderful time at a church leadership intensive training and learned so much. The timing was a bit challenging, however, because I was in the middle of a number of different projects at work. With training from 9am-9pm daily, that didn’t leave very much time for working out. I knew it’d be a challenge so I set a goal two run twice during the week and hit one Pure Barre class. I’m proud that I was able to do exactly that! Monday / Tuesday: rest and travel days. I ran or went to Pure Barre (or both!) every day the preceding week so I needed a couple of days off and logistically speaking, Monday and Tuesday made sense. I traveled from Atlanta to Athens, GA Monday night to hang with my cousin and had a blast. Tuesday, I headed to Birmingham to the week, had lunch with another cousin and then settled in for the week ahead. 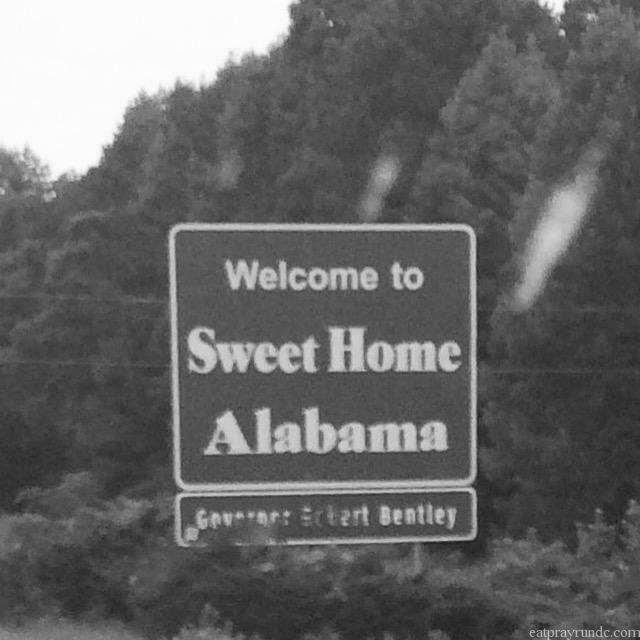 I was born in Alabama and lived there numerous times growing up and then again right after law school so it was fun to be going back there! Wednesday: I’m going to be honest, y’all. We were well fed in Birmingham. BBQ and sweet tea, and all that good stuff. Yum. Wednesday, I managed to eek out 3 treadmill miles before the day began. We were busy learning all day and so I was glad I got in what I could. Thursday: a repeat of Wednesday – a quick morning run and then learning all day. 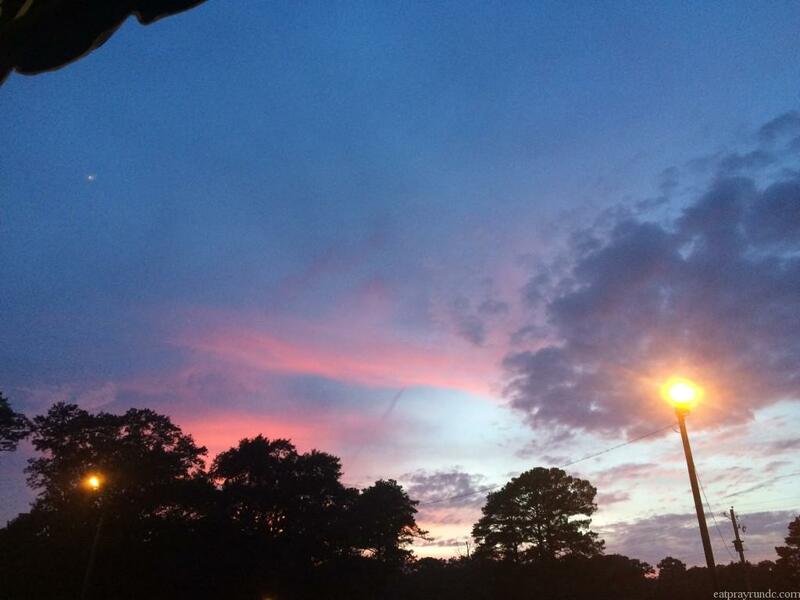 We had one final dinner together in the evening (Saw’s Juke Joint if you ever visit Bama) and were treated to lovely weather and a beautiful sunset. Friday I completed my month of Pure Barre touring and took a class in Birmingham (one of the first franchised studios!) – it was an awesome class. Then I hightailed it home to DC. I didn’t make it home until after 9pm and tried to quickly unpack and get to bed because I knew 5am was going to come quickly. Saturday started off early. I woke up at And because I’m a nut, I ran a race Saturday night. I know. I took it easy and just had fun with it. My legs were pretty tired with my 20 mile day. Sunday was reserved for church (my husband preached! It was awesome!) and a concert out at Jiffy Lube Live. A great end to a packed week. I ended the week with 25 miles and one pure barre class. Not quite the mileage I wanted but considering my travel, I’ll take it. How was your week – did you do anything fun this weekend? Wow, you were very busy! The night time race sounds fun! It was fun! The weather wasn’t awful which made a difference! Crazy busy! But fun, right? Yes, it was an intense week. Happy to be back to normal! Sounds like a fun week! Going back to your home town must have been nice! Way to go on your runs considering all your traveling and great that you got your long run in! The 5K at night looks fun! Yeah I set a realistic goal and was able to meet that goal. 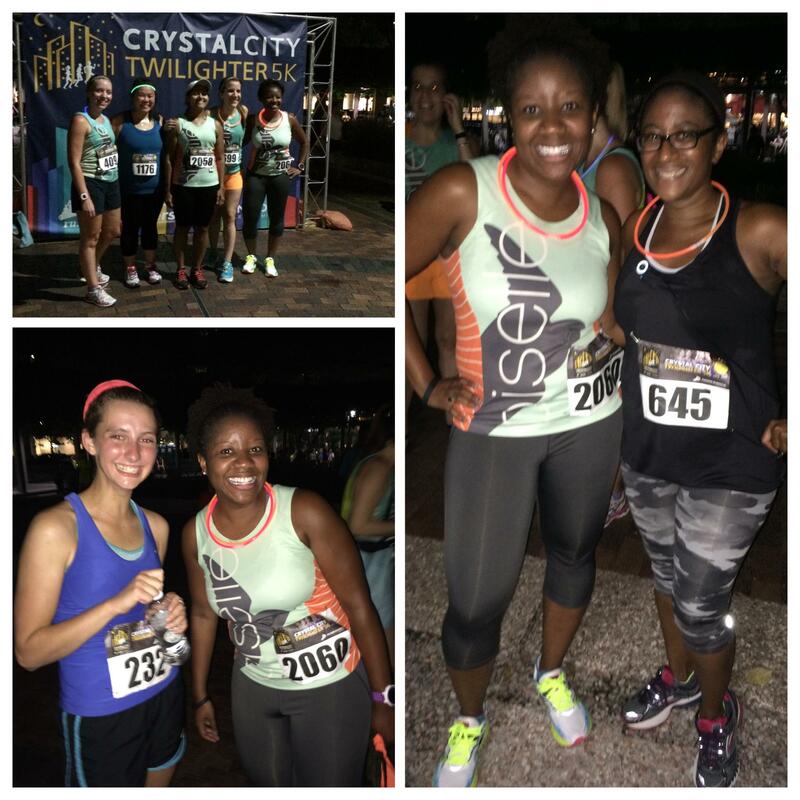 The night race was really fun! Good job! Working out while traveling is not easy, and normally I”ll take those days as rest days, even if I’m a a hotel with a gym. I’ll pack clothes just in case I need to clear my head, but I was busy at the last conference I went to. Yes, I usually like to run or workout at least once while I’m gone. Since I was gone for a week, though, I had to get some runs in! Sounds like you had a fun and busy week. Always fun to go visit friends and relatives and take classes in new towns too. Have a great week! thanks – it was really fun but i’m happy to be home! intense week!! wanna hear all about your training 🙂 GREAT seeing you Saturday night! hope you had fun! You had a busy and fun week! So great to see so many bloggers travelling this summer. um your vacation looks amazing!! thanks for sharing! Considering you were working 9-9 I say you did great with the workouts and miles. It is so hard not to just crash after days like that. OMG yes, I am now so exhausted that I’m home!! Wow–I was not as productive as you! You are an inspiration! Fun weekend! I would love to run a nighttime race sometime! You’ve been so busy lately. It’s awesome the balance you’ve gotten with training too. What a great week! I would have been DONE after that 16 miler. Night races are so much fun! I do find them hard though because I’m a morning runner, so it’s a challenge to get my legs moving in the evening. Worth it though. You had a killer week! I didn’t do all the miles I WANTED to either this last week but I did do some quality runs. Feel good about that. Great job getting those workouts in! Especially with that schedule, yikes. I struggle juggling it all when I travel. Working out while traveling is so hard and something I really need to get better at. You did awesome with fitting your workouts in! Especially a 16 miler early the morning you got back from traveling! Nice job getting your runs in! With vacation last week, I switched my weeks so my long run was only 8. Tomorrow I have to run 12. I’m tired already. ;o) Good job on 16 in this humidity. You had a great week and was so dedicated. Amen to your husband preaching and I saw your Jiffy Lube Live event on your IG feed. Thanks, Diatta! It was really cool to see him speak at church and then worship with over 20k people at Jiffy Lube!! Crazy, fun, busy week! Superstar status for Saturday’s mileage! Fun seeing you! Dang girl, you are a machine! A 16 miler and then a race!!? Awesome job! I will always be a morning person but I love to run races at night. Great training week! Looks like an awesome week! The best part of my weekend was finding out that my best friends are expecting a baby! So much fun, Courtney!! I love that you all were able to do this night race together; I’ve only done one night race and it was a 25K trail run. I think a shorter road race at night would be really neat! I think you did really well for the week, in terms of your running/workouts, considering what you had going on; good grief! That’s a lot of stuff going on at once! Way to get it done! Thanks so much for linking up; hope your week is off to a great start! Seems like you had a fun, busy week! I cannot believe I didn’t know you were here in town and at Highlands! Saw’s is THE BEST! I’m glad you tried a Magic City favorite! You were beastin’ it girl! 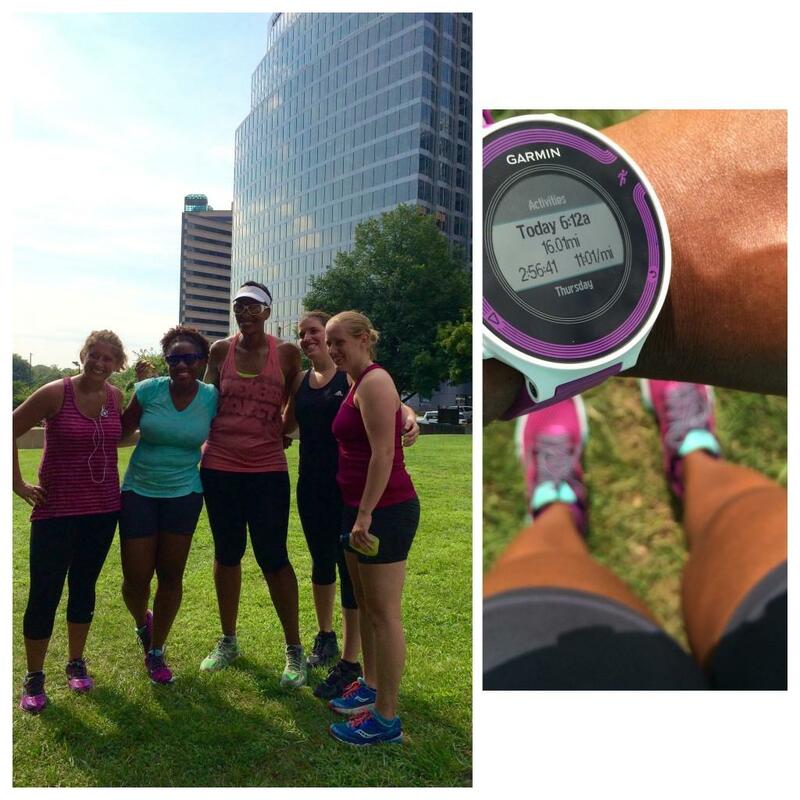 Artney @ My Pretty Brown recently posted…2015 Run the Bluegrass Half Marathon Recap! Your commitment to running is phenomenal! The milage that your run is amazing! Very inspiring. aw, thank you so much. it helps that i run with a group on the weekends. they are awesome!